FanFest - Saturday, January 5 - 12:00pm-6:00pm. FanFest passes are available for $15 online at www.tickets.com or charge by phone at 800-352-0212. Same day event ticket along with FanFest pass required for entry. Tickets: Purchase tickets through Tickets.com (online or by phone) or at the Angel Stadium Box Office. 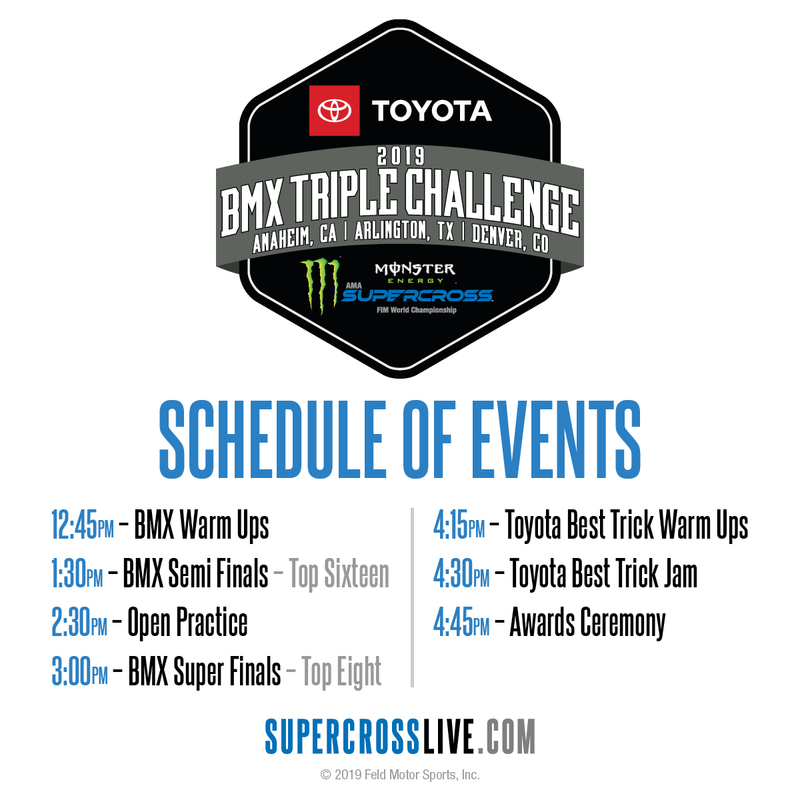 Don't miss the first stop of the 2019 BMX Triple Challenge during FanFest! Purchase a Can of Monster Energy at your local Stater Brothers and recycle at the entrance for your FREE admission to FanFest! Stater Brothers…Where You Always Get More…For Less! Buy a Can of Monster Energy at any participating AMPM location to recycle at the entrance for your FREE admission to FanFest! 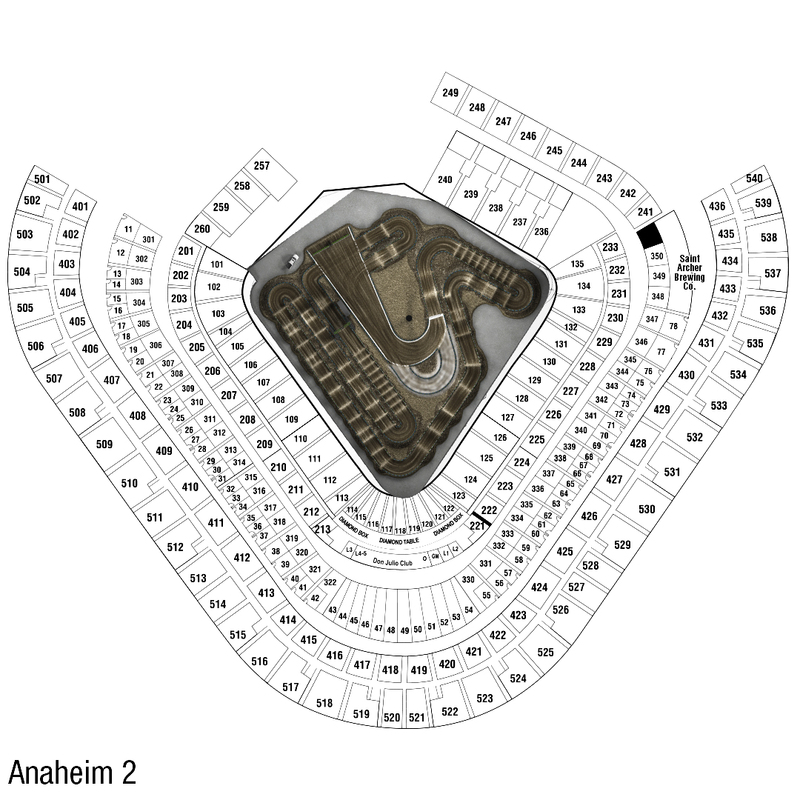 Watch the Supercross Futures Event at Angel Stadium of Anaheim on Sunday January 20.